The model A2G-200 control panel with integrated room sensor was developed specifically for requirements in the ventilation and air-conditioning industry. 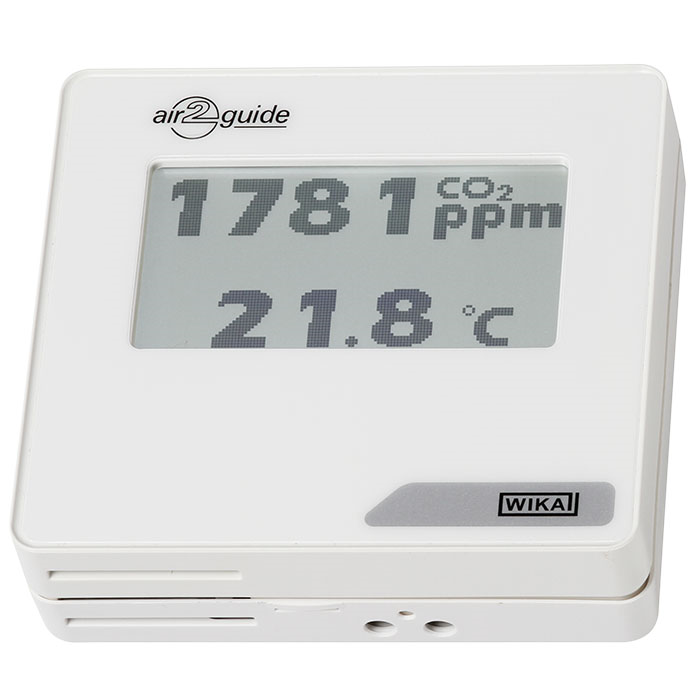 Different versions measure the key parameters of relative humidity, room air temperature and carbon dioxide (CO2). The large touchscreen display (option) makes the operation and readability easy and clear. The integrated switching output (option) enables a direct control command to higher-level systems or can be used for the direct switching on of a ventilation/air-conditioning unit or fan. 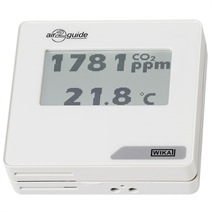 For this, the switch relay can be configured with all three parameters (relative humidity, ambient air temperature and CO2). The measuring results are transmitted with an analogue output signal (0 ... 10 V or 4 ... 20 mA) or Modbus® . To prevent incorrect operation or manipulation, the LC display can be locked via setting a jumper on the PCB and then only has the function of a display and measuring instrument.